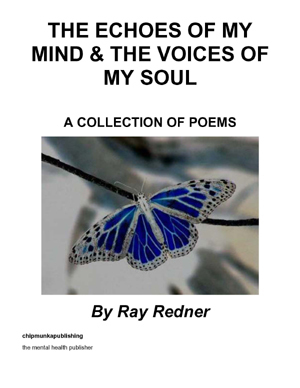 “The Echoes Of My Mind & The Voices Of My Soul” is a collection of poetry that represents the author’s journey through several decades of life. 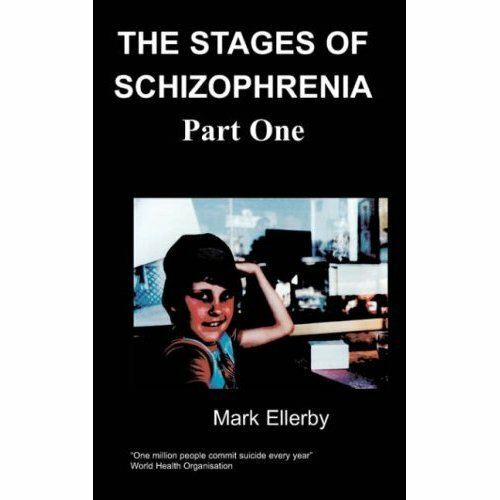 It is the expression of author’s innermost thoughts, feelings and turmoil associated with a long struggle with depression. It explores the darkest reaches of despair and loss, the blissful highs of love and friendship, the struggle of faith, as well as the majestic beauty of nature. Each poem represents a moment, a snapshot of time in the author’s existence. Whilst as a whole, the book paints the portrait of a larger landscape, and the seasons we all experience within life. It presents the reader with an account of life that will seem familiar to them, and will give voice to those who have experienced similar life events. Its honesty and transparency allows the reader to take each word, each stanza and each poem and make them “The Echoes Of Their Mind & The Voices Of Their Soul”. R.S Redner - currently lives in the seaside town of Mandurah, Western Australia. In addition to living in Western Australia for most of his life he has also lived in the United States and Papua New Guinea. The poetry he has written extends over a period of 20 years. It started in his mid teens as a means to manage his struggle with depression; an outward expression of the pain and confusion. In later years it developed over time into a form of self expression of his perspective on life. He has a diverse background working as an Environmental Scientist, College Lecturer, as well as working for over 15 years with at-risk youth. He currently works with students in a pastoral care role within the school system.